Bacon’s fading, but beef jerky’s still in. Sweet has gone savory, and savory has sweetened up. And yes, bananas are still everywhere. Yahoo Food stopped by the Winter Fancy Food Show in San Francisco, where over 1,300 new specialty foods and beverages were on display. We went, we saw, and we sifted out the trends. Here’s a sneak peek into what could be coming to grocery aisles this year. Wild Ophelia’s peanut butter and Hawaiian banana bar, Mrs. Prindable’s banana-walnut caramels, Phin & Phebes “Banana Whama” ice cream, Marlo’s Bake Shop’s gluten- and dairy-free banana bread biscotti, and SexyPop popcorn’s “Bodacious Banana” flavor. If you didn’t get it by now, know this: The banana is everywhere. Powdered peanut butter may sound like something that comes in an MRE, but a number of food companies are finding it a useful —and tasty —ingredient. When processed into a powder, peanuts maintain their protein power but lose much of their fat; the end results can be rehydrated with water or sprinkled atop breakfast foods, mixed in smoothies, and added to savory sauces. 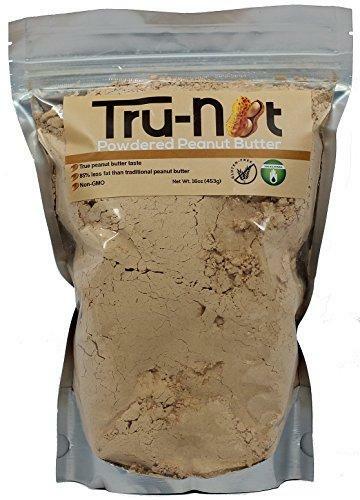 Peanut Butter & Co. adds a dash of flavors, among them vanilla and chia and flax; Tru-Nut goes for maple, cinnamon, chocolate, and original; and Eliot’s Adult Nut Butters come in more exotic flavors such as spicy Thai, honey-chipotle, and garam masala. Austin, Texas-based company Epic makes energy bars with grass-fed meats. Inspired by a Native American foodstuff called pemmican—a mix of dried and pounded meat, fat, and dried fruit—Epic’s bars range in flavor from beef-habanero-cherry to bison-bacon-cranberry, turkey-almond-cranberry, and lamb-currant-mint. The savory-sweet madness continues with five new releases: chicken-sesame-barbecue, chicken-sriracha, beef-apple-bacon, and pulled pork-pineapple. Can’t wait? The liver-beef-sea salt just got its online debut and is ready to order. The Morton Girl turned 100 last year; now, new variations of the mineral abound. Pink Himalayan salt, for example, is apparently chock full of minerals (84, to be exact) that you can’t find in common table salt. The chunky pink salt is usually mined in Pakistan, just under 200 miles from the Himalayas (hence the name). Other colors of salt we saw: gray or smoked sea, black, and red, which usually comes from Hawaii, where volcanic clay gives it that fiery-lava hue. Pops-A-Lot, founded in 2006, has gone global with its popcorn flavorings such as the sweet London Kettle, cheesy Roman Holiday, cinnamon-sprinkled Saigon Sunrise, pecan and caramel Southern Surprise, cashew and caramel Brazilian Samba, nutty Honolulu Aloha and, coming soon, a Moroccan blend. Another company, Oregon-based Masala Pop, is organic down to the coconut sugar, and comes in distinctive Indian spice flavors. Look for crazy mash-ups such as Hot Monkey Pineapple with Cardamom and Pepper Vodka, Tamarind Sesame Popcorn with Papadums, and Chai Masala Popcorn with Assam Tea. Real matcha is pricy stuff, but the flavor has caught on in such a big way that the powder version has become more accessible. We saw matcha to-go sticks from Aiya’s Café Blend, Sencha Natural’s matcha lattes you can steep at home, and even powders for baking, such as Kenko Tea’s cooking-grade matcha powder. Sriracha continues its blaze across snack foods; we saw protein bars, popcorn, ketchup, and even mayo flavored with the stuff. But competition’s coming in the form of Korean chili pastes like the gochujang from Mother-in-Law’s Kimchi or the artisanal unpasteurized version from Uk Kang. Turmeric, long touted for its health benefits, has been liberally spicing up teas, sauces, and other foods in the past few years. This year, it found its way to juice. San Francisco-based Purity Organic mixes turmeric with orange, carrot and mango juice. TumericALIVE has been expanding its juice line of “elixirs” and even going into flavors such as beet, matcha, and Turkish coffee. Kale is still king, but bolstering the good-for-you category is the cruciferous vegetable. Will the health benefits of broccoli, cauliflower, and Brussels sprouts extend to snack foods? Perhaps feeling virtuous can act as a placebo affect. Find these veggies in Creative Snacks’ Broccoli Chips, Alive & Radiant’s Arugula Cabbage Veggie Krunch, Wonderfully Raw Gourmet’s Tamarind Almond Crunch Brussels Bytes, and Genuine Grub’s Spicy Pickled Cabbage.